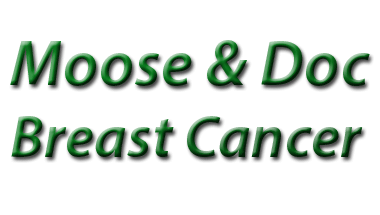 Triple Negative Breast Cancer: Section 6.d. 6.10 What is ‘Triple Negative Breast Cancer’ (TNBC)? Immunohistochemical studies and gene expression profiling have identified subgroups of breast cancer, which link to breast cancer prognosis. One subgroup associated with poor outcome lacks estrogen receptors (ER), progesterone receptors (PR) and Human epidermal growth factor receptor 2 (HER2) expression. So, triple negative breast cancers (TNBC) is ER-, PR- and HER2-. Clinical trials are in progress regarding the management of ER, PR, HER2 ‘triple negative cancers’. So, there is always hope for a better prognosis and treatment. ER is Estrogen Receptors and PR is Progesterone Receptors. And “Negative” means the cancer cells are not trying to catch Estrogen or Progesterone molecules with receptors on the cell surfaces. Triple Negative Breast Cancer (TNBC) shares morphological and genetic abnormalities with basal-like breast cancer (BLBC); these are types of breast cancer defined by gene-expression profiling. What is gene expression profiling? For any breast cancer to develop, it is the genes within the breast cancer cells that determine the rate of cell growth and mutation. Gene expression profile testing is a process of molecular biology that examines thousands of tumor cells at the same time and looks at the gene profile within those cells. There are several different tests, including Oncotype dx and MammaPrint, and these help to more accurately classify the type of tumor and treatment options available to breast cancer patients. These tests can also help predict prognosis and outcome. TNBC and BLBC tumors are heterogeneous and some overlap occurs. The type of breast cancer found in BRCA mutation carriers are also frequently triple negative and basal-like. A bra size of ‘C’ ? No Moose, BRCA1 is not a bra size, it’s a human gene which produces tumor suppressor proteins. If this gene mutates or alters, cancer cells are more likely to develop. Did you hear about the dyslexic moose who walked into a bra? TNBC and BLBC are found most often in younger women, especially African-American women; they tend to be aggressive, high-grade and they develop into metastatic breast cancer earlier. It has been suggested that the use of oral contraceptives in younger women is one of the risk factors for triple negative breast cancer. These breast tumors respond to conventional chemotherapy but relapse more frequently than hormone receptor-positive, ‘luminal’ subtypes, and they have a poorer prognosis. A lot of patients with TNBC and BLBC relapse and so specialists are investigating new systemic treatments. Hormonal therapy and HER2-targeted agents are ineffective in treating these cancers. Studies on breast cancer using gene expression analysis have identified several distinct breast cancer subtypes that differ markedly in prognosis. The major clusters are those relating to estrogen receptor (ER) expression (the ‘luminal’ cluster), HER2 expression, proliferation, and the unique cluster of genes, the ‘basal cluster.’ As scientists study the genomic data from tissue specimens, they are also identifying more breast cancer subtypes. HER2 (human epidermal growth factor) is a protein that can affect the growth of cancer cells. If a cancer is negative to all three receptors then targeted treatment becomes very difficult. Pathologists and molecular biologists are working together to examine whether refinements to improve the prognostic and predictive power of the tissue-based classifications of breast cancer, are possible. This may improve both treatment and outcome. Fluorescence in situ hybridization (FISH): determines the positions of particular genes. FISH identifies chromosomal abnormalities and maps genes. Polymerase chain reaction (PCR): is a method of making many copies of particular DNA sequences of relevance to the tissue diagnosis. ‘Real-time’ PCR or ‘quantitative’ PCR: is a method of measuring how many copies of a particular DNA sequence are present. Reverse-transcriptase polymerase chain reaction (RT-PCR): is a method of making several copies of a specific RNA sequence. Southern blot hybridization: detects specific DNA fragments. Western blot hybridization: identifies and analyzes proteins or peptides. Is there a future for Immunohistochemistry? In the future, immunohistochemistry may be replaced as the main method for assessing predictive markers in all stages of cancer, including early-stage breast cancer. For example, the role of IHC in HER2 testing could be replaced by frontline FISH; real-time (quantitative) PCR may be used to assess gene expression levels for ER and HER2. Commercially available assays that analyze the expression of a range of genes are now available. If molecular assays can become automated on the scale of biochemical assays and if the cost per test becomes competitive, the use of IHC could diminish and with it, the issues around quantification. The analysis of gene expression profiles has begun to develop new classification systems. Clinical studies by Rouzier and colleagues in 2005 have identified molecular classes of breast cancer (luminal, HER2-enriched, basal-like and normal-like) that may have prognostic value and be predictive of the response to chemotherapy therapy, including neoadjuvant chemotherapy. Wow! being able to predict a tumor’s response to chemotherapy would be quite a breakthrough I would guess. Yes, it would take a lot of the guess work out of chemotherapy and also for those women whose tumours are responsive to chemo it may make the side effects a little easier to take. Yes, and women are strong; we bend, we don’t break! New advances in molecular (gene-based)classification are developing because, as opposed to the past when only fresh or frozen breast tumor tissue could be analysed, now formalin-fixed and paraffin-embedded (FFPE) material may be used. As an example, a gene expression assay on FFPE breast tissue using 50 genes (PAM50) is based on quantitative, real-time, reverse transcription-polymerase chain reaction (qRT-PCR) that identifies major molecular subtypes of breast cancer and generates ‘risk-of-relapse’ scores. (Nielsen et al., 2010; Ellis et al., 2011). Every time I hear the word ‘exercise’ I wash my mouth out with chocolate. Meanwhile, the use of light microscopy-based techniques such as immunohistochemistry (IHC) continue to refine the diagnostic Pathology process for most patients. The panelists of the last St. Gallen Consensus have endorsed the use of immunohistochemical assays to identify breast cancer subtypes and to inform the choice of the systemic treatments (Goldhirsch et al., 2011). Whatever your circumstances, don’t forget to sing with the showers and dance with the flowers. Triple negative breast cancer treatment may include neoadjuvant chemotherapy (this is having chemotherapy treatment before any surgery). Triple negative breast cancer does tend to metastasize to other sites so lymph nodes may need to be biopsied or excised. Parp inhibitors may be effective in the treatment of Triple negative breast cancer. These are drugs that block cell enzymes and may be particularly effective in the treatment of BRCA-related cancers. Radiation therapy is also an effective treatment after surgery in early-stage triple negative breast cancer. The rest of the references for this section 6D are on this page.